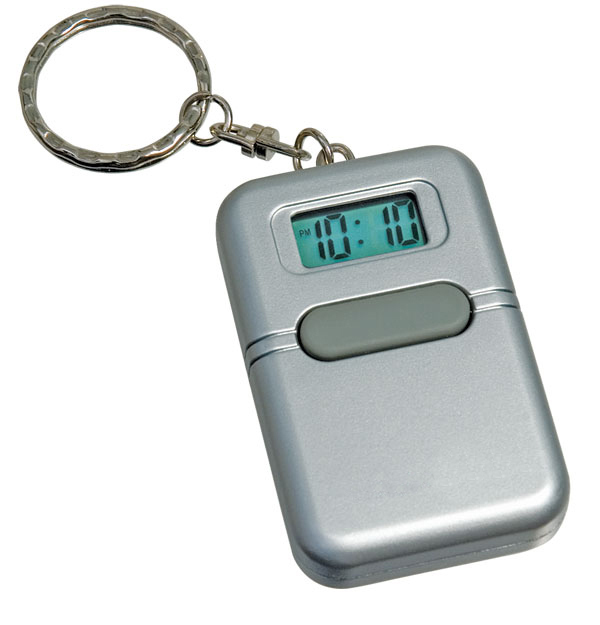 This English talking keychain is small enough (2.25 inches x 1.25 x .50) to conveniently fit into a pocket or purse, yet large enough to keep you from misplacing your keys, this convenient clock/keychain has a surprisingly loud and clear voice. A built in alarm (rooster) can be set to remind you of appointments. Replaceable batteries included that last for about one year. * Keychain Size: 2.25" x 1.25" x .50"